It is hard for me to space out some time now, during the exam week. Plus! all assignment is due soon and I will have my final in about a month time. I've been trying to keep my body fit since who knows years ago. However due to the works and distractions I just Can't keep my lifestyle on a balance. Therefore my diet goes on and off, ranging from days, weeks to a month (longest). That's it. I find it hard for me to maintain a long program, especially to follow on exercise guide. I tried Kayla Itsiness guide but it only lasted me for a month. Again (and giving me soreness all over the muscles)! Then I try on Green Smoothies. Great but it is so costly (about RM50+ per week) and messy. I hate cutting fruits and the cleaning part. Also, some fruits are so hard to get. One word. troublesome. After thinking for super super long, I decided to try on SkinnyMint. Well, green smoothies is for detox, as well as SkinnyMint. But it is tea! Just pour in hot water, leave for 2-3minutes and there you go! Just substitute SkinnyMint with my daily cups of tea and woolaa. Detox. 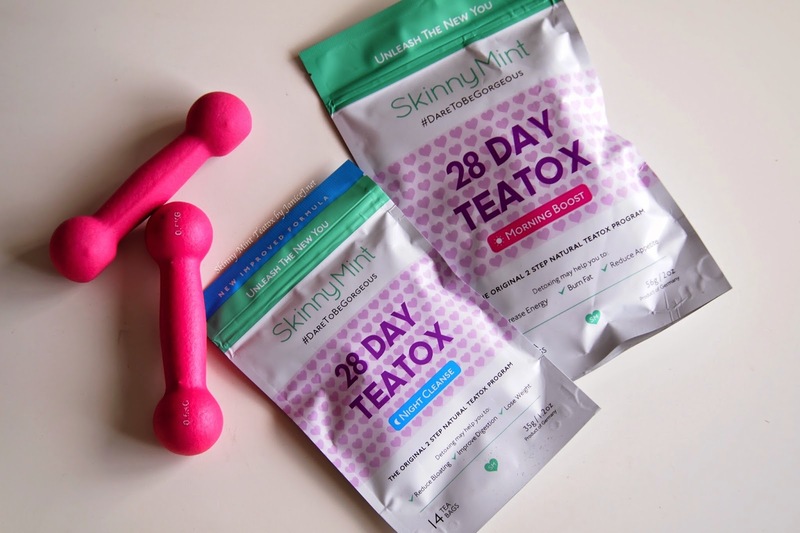 SkinnyMint is 100% natural tea detox program, special scientifically developed herbal blend from Germany. I personally like the 2 steps programs, which give different function and more reason to drink teas. I would recommend everyone to get both Morning Boost and Night Cleanse from SkinnyMint.com. Another think that I like about the program is that I do not need to starve myself. I enjoy my foods as usual, and the Morning Boost helps to burn fat and increase energy I needed. However, although the morning boost claims to reduce appetite, I don't see any changes in my appetite. It is said to be part up with healthy lifestyle, eat clean and train mean for optimum result. But for lazy girl like me, I will just let things go naturally. The SkinnyMint morning boost smells like strawberry (plus a little pineapple) and is very tempting. However, it has only very mild strawberry taste, and has slight sweetness when taste throughly. It contains Caffeine so it is best to be consumed before 5pm. The morning boost is claims to help increase energy, burn fat and reduce appetite. 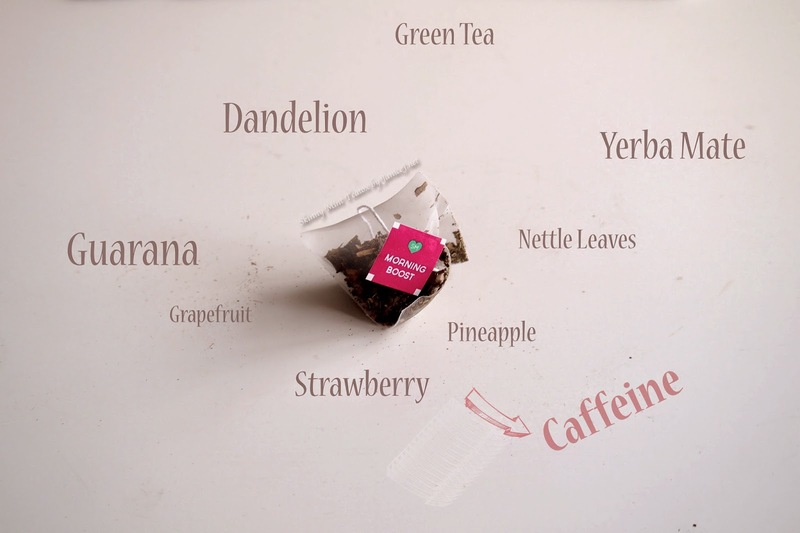 Every pack is 56g in weight and contains 28 individual tea bags. 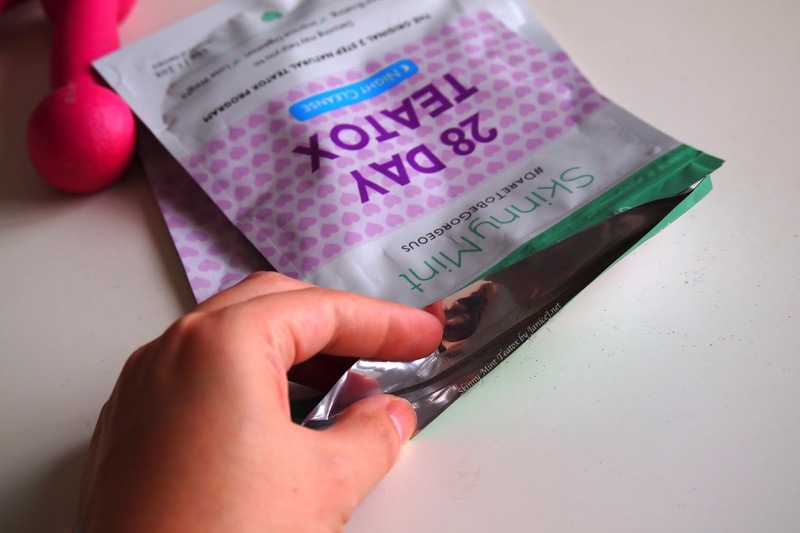 The SkinnyMint night cleanse has heavier smell compared to the morning boost. The taste of ginger gets thicker if left longer. I personally can not stand the smell ginger but I kind of get used to it after some time. The night cleanse claims to help reduce bloating, improve digestion and lose weight. This is like the perfect tea ever for girls! Every pack is 35g in weight and has 14 individual tea bags. The night cleanse is to be consumed every other day starting on the first day of your teatox. 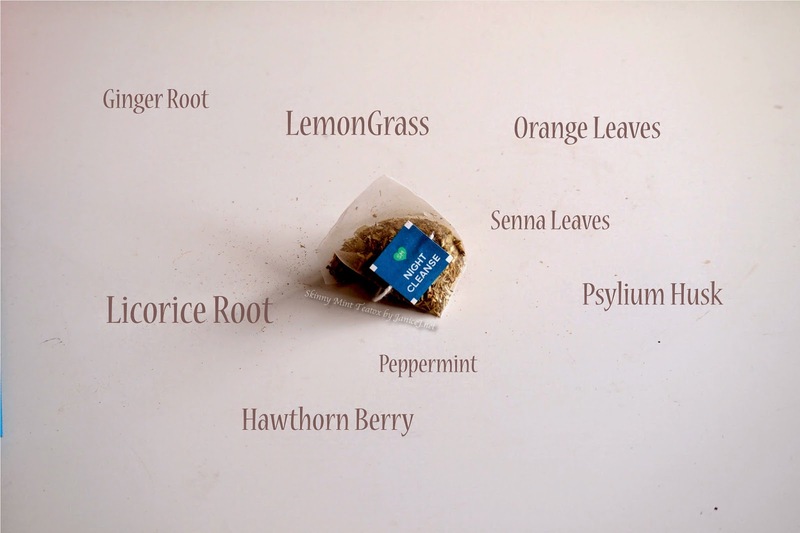 Every SkinnyMint comes in zip-lock bag and it helps to keep the tea leaves fresh. However, the zip-lock is quite brittle as I spoiled mine before I can even finish up my 28 days teatox. I consumed the tea as instructed.In between the teatox program, I missed out one day and continued the program the next day. Very very minimal exercise (not even 1 time a week) was done due to Chinese New Year, and I eat 9 course meals almost every night for the CNY week. I did not measure my weight but I find that I lose 2 inches from the waist after the program. The biggest change to me in this teatox period was the reducing tummy bloating. I am like 24-7 bloated since young and I have never feel so good in my entire life before. Love love love the night cleanse. In case you are interested to try on this program, you can get it from SkinnyMint.com with worldwide free delivery. 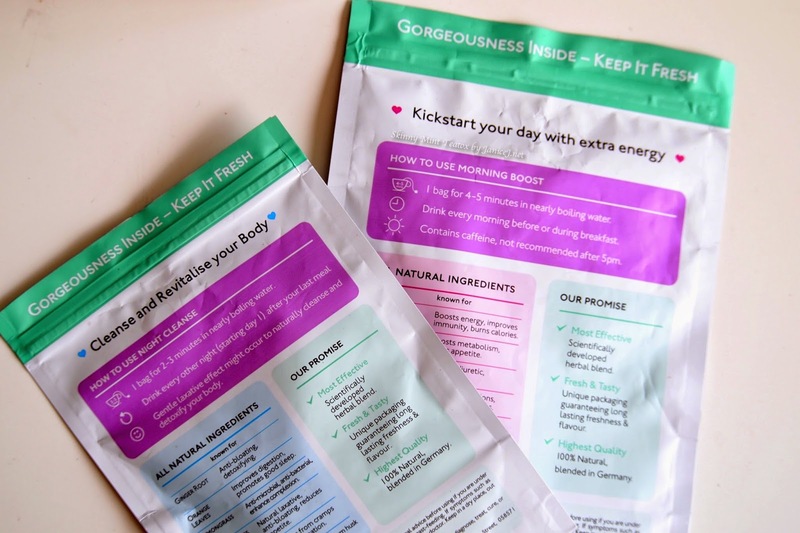 In conjunction with their Birthday, you will get additional one free Morning Boost when you place your order on the 28days detox program (RM169) or Besties pack (RM278). Not sure if you will like the taste? Get the 14days starter teatox at RM 94.90. How do you like my transformation? Let me know in the comment box below! I am still working to achieve fitter body. Every supports from you guys will definitely give me motivations to be fitter! So, leave some loves here! Goodnight!